Have you ever met someone whose home just feels like them? That’s what we aim to do; make your home feel like you. This isn’t an easy task for any interior painter but with the right products, practices, and client experience we know we can give you the interior of your dreams. Kind Home Solutions takes the time to understand what our clients invision for their home and we’ll work with you to find the perfect colors to bring it to life. Many homeowners have become increasingly concerned with the inconvenience and hazard interior painting can cause. Interior work is not only a disruption to your life you also have to concern yourself with the harmful effects of VOC’s. The completed project looks amazing but the hassle to get there is a real challenge for most homeowners. Kind Home Solutions set out to find a way to ease these concerns and reduce the risk for you and your family so, we use only the best products that meet our strict criteria for quality paint. When looking for the best possible product for your interior there are four key elements you should consider to make the best choice for your family and your home. These include VOC’s, coverage, color, and durability. Find greater detail about each of these elements below. As mentioned above VOC’s, or volatile organic compounds, are arguably one of the most imposing parts of any interior painting project. Do you know that overwhelming smell that paint has? Those are VOC fumes being released into the air and this is present in most painting products. VOC’s can be incredibly harmful and it’s best to use an interior paint that features low to zero VOC’s. This not only makes the experience easier it’s also much safer for your family! The interior of your home is definitely where you have the opportunity to get a little bolder with your choices. Each room can have its own personality so you’ll want to find a product line that is highly pigmented and gives you a lot of options when it comes to color. We definitely recommend playing around during the choosing process and painting some test swatches on the walls. Take a look at them throughout the day to see how they react to different light and choose the color that you feel adds a richness to the room. You might be thinking that the quality of your interior paint doesn’t matter much because it’s not outside battling the elements. Unfortunately, this is a common misconception. Just like with exterior paint it’s better to utilize a thicker, highly pigmented product on the interior as this will lead to a richer and more even application. The interior of your home may not face the rain, snow, or sun but it has to stand up to everyday wear and tear. Whether you’re constantly moving furniture, have kiddos that can’t help but touch, or pets that don’t have quite as much respect for the dining room as you would hope; your interior should be well protected. When it comes to selecting your interior paint you’ll want to look for a product that has a little bit of sheen (we recommend eggshell) and is water resistant as this will make things easier to clean and increase the life of your paint job. You want to do what’s best for your home and luckily, we do too. If you’ve ever painted a room you know how tricky interiors can be.We focus on the initial consultation, colors, prep, application, clean up, as well as the final inspection with your Quality Control Supervisor. Our 6 point process allows us to get your interior project taken care of efficiently while maintaining the highest quality. Our estimator will work with you to understand your vision for your home so we can make it a reality. Once an assessment of the project is complete we’ll provide you with a fair, detailed estimate for your interior project. The interior of your home should be an expression of your style while maintaining functionality. Your estimator will discuss color options and help find the paint colors that will be perfect for your home. Our goal is to be as accommodating as possible especially when it comes to the interior of your home. Your personal Quality Control Supervisor will do an intial walk through to make sure every detail is correct. They say luck favors the prepared and we believe that’s true for all of our projects. We’ll make sure to keep open communication with you about any concerns and take the necessary precautions to protect the spaces we’ll be working in. This includes moving any furniture, ensuring clear expectations, the use of drop cloths, and daily clean up. How you apply products is just as important as the prep that goes in beforehand. One without the other just won’t do. In order to make sure you have a finished product that you’ll love we use the best practices and industry techniques for a clean, flawless finish. Once your project is complete, our crews will conduct a thorough clean up of the space, being careful to leave no sign of us behind (aside from your beautiful new walls of course). We want to make sure you are 100% satisfied with the final product so we’ll schedule a convenient time to do a final inspection of the home with your Quality Control Supervisor. Finding the perfect interior color to suit you can be difficult. Here are some tools to help you get started. We pin daily so check it out! You’ll need an account but there are so many goodies on here! Benjamin Moore has some great videos on color selection! Our interior painting is made to last with top of the line products and a paint process that utilizes the best techniques for interiors. We’re committed to your satisfaction so every interior paint project comes with a one-of-a-kind warranty. Not sure if you need windows or not? Have one of our experts take a look at your windows and discuss with you options to be more energy efficient. The entire team at Kind Home Solutions handled our interior home painting job better than our expectations. I was contacted right away by customer service to schedule the estimate. Their estimator listened well to what we desired and quickly gave us a fair price. They were able to accommodate our rapid schedule needs. The crew arrived and each one swiftly went to work doing the various jobs of masking, protecting our furniture and carpet, and planning the sequence of the job. They worked together well, moving smartly from one operation to the next. The job supervisor kept communicating with us on the status throughout the project and showed us what punch list items he had found in his walk through, which were handled by the crew before they left. The short list of things we found later was handled quickly and to our full satisfaction. We are already looking forward to having other areas of our home painted by them, both interior and exterior. Give them a try, you will not be disappointed. We just moved into our first house which needed significant cosmetic work done, particularity popcorn ceiling removal and painting throughout. 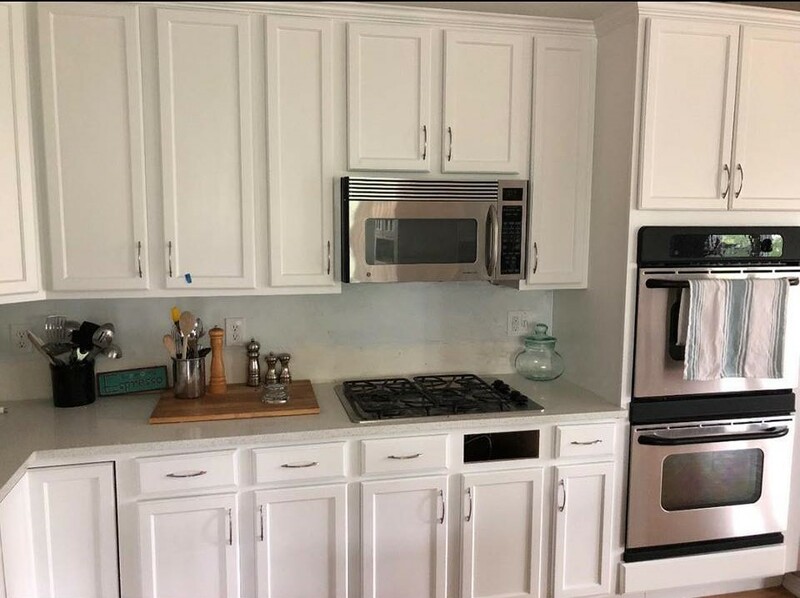 I scheduled Michael from Kind Home Solutions to scope the project and was so impressed with his knowledge, patience and customer service we immediately signed on and couldn’t have been happier with the work. Jeremy, the project manager, and his crew started by covering all of the floors and hanging plastic to keep the popcorn removal mess contained. We have high ceilings, so the popcorn removal was a huge task, but the team was quick and extremely precise. Not only was the work amazing, the crew was so friendly and extremely professional.It was a pleasure to do business with everyone from Kind Home Solutions and will be using them again in the future! I would highly recommend Kind Home Solutions for any painting job you have, big or small. When we bought our condo in Downtown Denver, CO, we were looking for a good finish painting company. Mike and his team were recommended and I was shocked at the quality and value of their work. What was more impressive was the fact that they showed up when they said they would show up. They took great pains to make sure they worked “out of our way” so we could do our other repairs and updates. Of all the contractors we worked with, Kind was the best. I highly recommend this company. If you want to experience the lost art of customer service, hire KIND! Our experience with Kind Home Solutions was nothing short of amazing! My freshly painted walls are pretty much flawless, and the team was professional. I was not left with a mess as in the past with other companies, and owner Michael was kind enough to spend a few hours with me when I had a mid-project panic about the color I selected. I really can’t say enough about Kind Home!